Danish and author and poet. Well-known for his children’s stories. He was born in the slums of Odense, his father a cobbler, his mother a washerwoman. He received very little education, and had an unhappy childhood. He went to work when his father died when he was 11, first as an apprentice to a weaver and tailor and then in a tobacco factory. At the age of 14, he moved to Copenhagen to try a career as a singer, dancer and actor. At the age of 17, he was "discovered" by the Director the Royal Theatre, and his artistic career was launched. Anderson combined folk myths learnt from his superstitious mother or told to him by his father, with his own rich imagination. His objective was to bring happiness to children. Early Australian anarchist and bookseller. The circle around his bookshop were among those who founded the Communist Party of Australia in 1920. Later that year he had taken up a small selection of 10 acres in the Dandenong Ranges where he began clearing the land, building a house and working as a storekeeper and a mailman. His second son Proudhon Andrade was born here in a rough shelter the same year. Andrade persisted in this lifestyle for five years but was burnt out in the disastrous 1898 fires. He appears to have been financially ruined and mentally broken by this event. In 1903 he was admitted to the Yarra Bend Asylum and he lived for the rest of his life in asylums. He died in 1928 and in later years was described as a kind man with a smile on his face. Born in the Rhineland, brought up in Belgium, building worker, member of Socialist Young Guard. Conscripted, prisoner of war in France in 1918; docker in Hamburg, joined SPD; then unemployed, organised unemployed committee in Hamburg, joined KPD (Kommunistischen Partei Deutschlands/German Communist Party) at end of 1922. Very prominent activist in Hamburg in 1923. Organised League of Red Fighters, which he led in Hamburg. Nicknamed ‘Red General’, strongly hated by the Nazis, arrested in March 1933, tortured, sentenced to death, and beheaded on 4 November 1936. Son of railway worker, joined Komsomol at age 16, Komsomol full-timer 1936, promoted in the wake of the purges, and secretary of Karelia Komsomol at time it was annexed into USSR in 1940, then second secretary of Karelian Republic under the Old Bolshevik survivor Otto Kuusinen. Posted to Hungary by Malenkov as punishment for submitting an honest report on a party rival and became ambassador in 1954 and was in Imre Nagy’s office at the time Soviet troops invaded in October 1956, reportedly genuinely trying to avoid a confrontation. He was promoted to the Central Committee department after the suppression of the Hungarian uprising with the support of Kuusinen. Opposed Lysenkoism in last days of Khrushchev. Surprised everyone with his appointment to head of the KGB in 1967, evidently a consensus choice by the post-Khrushchev leadership, to limit the power of General Secretary Brezhnev. Under Andropov the KGB became much more effective in suppression of dissents through the use of more subtle means of pressure and intelligence, but allowed large numbers of dissidents to leave the USSR and work from abroad. Under Andropov, the KGB also worked to restrain the ‘Brezhnev mafia’, including the arrest of Brezhnev’s daughter for corruption. Information collected during his KGB days he used to eliminate opposition from the ‘Brezhnev-mafia’ and secure election to the leadership. According to Zhores Medvedev, after the death of Brezhnev, Andropov was the favourite candidate among the dissidents and intelligentsia. For the last 16 years of his life, including his period as head-of-state, Andropov lived in a single-bedroom flat. As head of state, Andropov initiated a campaign against “absenteeism, idleness, drunkenness, etc" and crime but succeeded only in generating opposition and an atmosphere of fear. 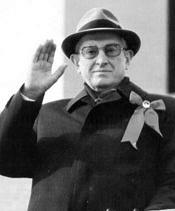 Andropov died on February 1984. Party pseudonyms: Raj Hansa, Ayana Devi, Taya Deva. Born Jakanur (District Bijapur, Karnataka). Educated Oxford. Worked with British Communist Party in early ‘thirties. Joined Revolutionary Socialist League (C.L.R. James), 1939. Contributor, New Leader . Joined British Army, November, 1942; appointed Lecturer, Central Advisory Council for Adult Education in H.M. Forces. Left the Trotskyist movement after the war. Prussian officer discharged for his communist views. Member of the Communist League and one of the founders of the of the Cologne Workers Association in 1848. Editor of Neue Kölnische Zeitung. Member of the Rhenish District Committee of Democrats. Russian man of letters who lived a great deal abroad, where he became acquainted with Marx, though not Socialist. In his recollections, A Remarkable Decade (Vestnik Yevopy [European Messenger], 1880), he describes the meeting and conversation between Marx and Weitling in Brussels, March 30, 1846. In the same memoirs he also gives a literary portrait of Marx as reflected in the consciousness of a liberal Russian of the 1840s. Cousin of Karl Marx in Zalt-Bommel, Holland, married to Dr. A. Anrooy. Born Boralugoda (Kosgama, Avissawella of Hevagam Korale), Ceylon, daughter of Don Jacolis Rupasinghe Gunawardena, sister of Philip and Robert Gunawardena. Educated Siddhartha Vidyalaya, Kaluaggala, and Museaus College, Colombo. Became a teacher at Siddhartha Vidyalaya, 1924. Participated in Suriya Mal movement. Founding member, Lanka Sama Samaja Party, 1935. Delegate, Indian National Congress, 1937. Married S.C.C. Anthony Pillai, 1939. Sent to Nawalapitiya to organize estate workers. Member, Bolshevik Leninist Party of India, Madras, 1943-48. Member of the strike committee, Madras Labour Union strike of 1947. Entered SP, 1948. Joined SP (Loyalists), 1952. Joined SP (Lohia), 1956. After death of S.C.C. Anthony Pillai in 2000, returned to Sri Lanka. Resides in Alubodalawatte, Kosgama, about 2 miles from Boralugoda. Party pseudonym: S. Krishna Menon. Born Jaffna, Ceylon, son of S. Anthony Pillai, a devout Catholic whose ancestors came from Tirunelveli District of Tamil Nadu. Educated St. Patrick’s High School, Jaffna, and Ceylon University College, Colombo. Founding member, Lanka Sama Samaja Party, 1935. Attended King’s College, London University. Joined the India League and a Marxist study group with other Ceylonese students, London. Returned to Ceylon, 1938, and re-joined LSSP. Married Caroline Gunawardena, 1939. Sent to Nawalapitiya to organize estate workers. After LSSP was suppressed, he and Robert Gunawardena led a series of strikes by bus workers, harbor workers, and granary workers. Went to Madurai and joined Bolshevik Leninist Party of India, July 1942; shifted to Madras, 1943. Delegate to BLPI conference, 1944. Central Committee, BLPI, 1944-48. Jailed at Alipuram, 1944-46. President, Madras Labour Union, 1946-75 and 1983. Leader, B&C Mills strike, 1947. General Council, All-India Trade Union Congress, 1947. Executive Committee, Workers United Front, 1947. Attended BLPI conferences, 1947 and 1948. Formed and elected president of Indian Overseas Bank Employees Union, 1948. Entered SP with BLPI, 1948. Councillor, Madras Municipal Corporation, 1948-59. When SP merged with KMPP, took leading role in rallying the dissidents; elected to the Tamil Nadu Ad Hoc Committee, September 1952. Founding leader, SP (Loyalists), 1952. Joined SP (Lohia), 1956. Opposed Lohia’s “Remove English” campaign. Formed SLP. Merged SLP into E.V.K. Sampath’s Tamizh Desiya Katchi (Tamil National Party), 1961. Joined Congress together with the Tamil National Party, 1964. President, Madras Port Trust Employees' Union, elected 1948. General Secretary and Vice President, All-India Port and Dock Workers Federation,until 2000. President, All-India Transport Workers Union. Vice President, Hind Mazdoor Sabha, 1952 and 1960-74. President, Tamil Nadu Council of Hind Mazdoor Sabha, 1957 and 1968. Member, Madras Legislative Assembly, 1952-57 (Choolai). MP, Second Lok Sabha, 1957-62 (North Madras). Ran for Lok Sabha from North Madras Constituency, 1967 (lost). Joined Congress and later Congress-Opposition (Kamaraj). Trustee, Madras Port Trust, 1954-2000. Fathered the Tamil nationalist political party, Namadhu Dravida Iyakkam. Presided over more than 200 unions in his lifetime. Bolshevik who led the October 1917 attack on the Winter Palace; disappeared in Spain 1938. Vladimir Antonov-Ovseenko, the son of a military officer, was born in Russia in 1884, educated at the Voronezh Military School and the Nikolaevsk Army Engineering College. During this period Antonov-Ovseenko began to question the political system that existed in Russia and in 1901 was expelled from college for refusing to take the oath of loyalty to Nicholas II. Antonov-Ovseenko moved to Warsaw where he joined the illegal Social Democratic Labour Party. The following year he found work as a labourer in the Alexander Docks in St. Petersburg and then as a coachman for the Society for the Protection of Animals. At its Second Congress of the Social Democratic Labour Party in London in 1903, Antonov-Ovseenko, along with Plekhanov, Pavel Axelrod, Leon Trotsky, Vera Zasulich, Irakli Tsereteli, Moisei Uritsky, Noi Zhordania and Fedor Dan, supported Julius Martov’s Menshevik position. In August 1904 Antonov-Ovseenko was arrested for distributing illegal political propaganda. He was released and sent to Warsaw where he became a junior officer in the Kolyvan Infantry Regiment. He used his position to recruit junior officers to the Mensheviks. Antonov-Ovseenko deserted from the army during the 1905 Revolution. He joined the Menshevik Military Committee and edited the underground newspaper Kazarma (Garrison). However, he was arrested in April, 1906, but escaped from Sushchevsky Prison. Captured again in June, he was sentenced to death (later commuted to twenty years hard labour in Siberia). In June, 1907, a group of Mensheviks freed Antonov-Ovseenko by blowing a hole in the prison wall. He spent some time hiding in Finland until he could be provided with a false passport that would enable him to return to Russia. Based in Moscow he organized workers’ cooperatives and editing illegal newspapers. After two further arrests Antonov-Ovseenko left Russia and went to live in France. 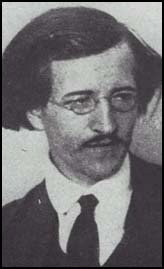 He joined other revolutionaries in exile and as well as becoming secretary of the Parisian Labour Bureau wrote for the radical newspaper, Golos (Voice). Antonov-Ovseenko returned to Russia after the February Revolution. In May he joined the Bolsheviks and soon afterwards was appointed to the party’s Central Committee. Antonov-Ovseenko was the main architect of the armed insurrection and led the Red Guards that seized the Winter Palace on the 25th October, 1917. After the October Revolution he was appointed Commissar for Military Affairs in Petrograd and Commisssar of War. During the Civil War Antonov-Ovseenko commanded the Bolshevik campaign in the Ukraine and organized famine relief in Samara province. Antonov-Ovseenko worked closely with Leon Trotsky and in 1922 he was appointed Chief of Political Administration of the Red Army. At the Communist Party Congress in 1922 Antonov-Ovseenko attacked Lenin for making political compromises with the kulaks and foreign capitalism. He also supported the idea of permanent revolution and became one of the leaders of the left opposition. As a supporter of Leon Trotsky, Antonov-Ovseenko lost his military command in 1923. To remove him from the political struggle in the Soviet Union, in 1925 Joseph Stalin sent him as ambassador to Czechoslovakia. Later he held similar posts in Lithuania and Poland. Antonov-Ovseenko was the Soviet consul general in Barcelona during the Spanish Civil War. He arranged for Russian advisers to help the Popular Front government while expanding the influence of the Soviet Union in the country. He disappeared in 1938. It is believed that Stalin was convinced that Antonov-Ovseenko was plotting against him and in August 1937, and recalled him to the Soviet Union, where he was arrested and shot without trial in 1939.